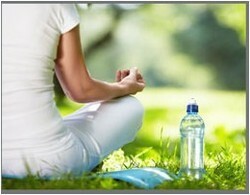 Yoga releases stress, fatigue which has become the seat of all disorders in a modern life. It relieves the body from any kind of muscular strain or chronic strain, refreshes the body from fatigue, stress and body aches, helps to relax the body and mind, increases concentration and awareness, and frees the spirit. Yoga and Ayurveda is a continuous life process, which starts from the birth of human being and ends up with the human being. Both are having the same origin from “Veda.If you want to remain disease free in your life in this century, you have to go for yoga and ayurveda in your life style. Therapeutic Yoga is a particularly effective practice for those recovering from, or living with, injury or illness. Therapeutic Yoga blends restorative yoga (supported postures), gentle yoga, breathwork, hands-on healing, and guided meditation techniques. Fitness Training is the best fitness academy you can ever have. In the fitness field, what is ... Aerobic Instructor training course/Basic Group Exercise Instructor training course ... Yoga during pregnancy. Yoga therapy is the process of empowering individuals to progress toward improved health and well-being through the application of the teachings and practices of Yoga. IAYT Educational Standards for the Training of Yoga Therapists. Selected Additional Definitions. 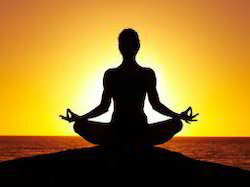 The word Yoga is derived from the Sanskrit word 'Yuj' which essentially means to join or unite. The union referred to is that of the individual self uniting with Cosmic Consciousness or the Universal Spirit. Yoga is a means to achieving this goal. Yoga is a 5000 year old practice, which continues to evolve through the years to meet individual needs. Today, there are different forms of yoga, though most styles have unique features with common roots. It is an ancient Indian body of knowledge, which is derived from the Sanskrit work “yuj which implies “to integrate.